Added on December 21, 2017 by Alexander Osterwalder. 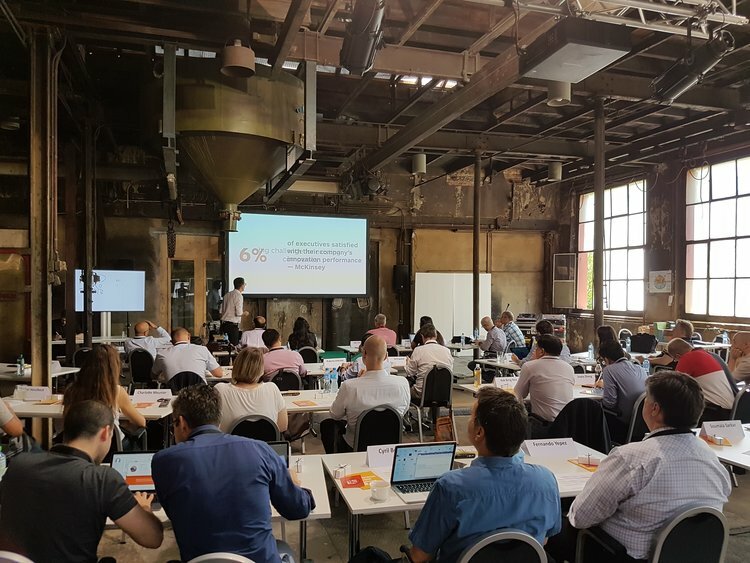 In June 2018, Strategyzer is hosting a 3rd edition of its intense 5 day bootcamp for business coaches who want to get to the next level in business model/value proposition design and Lean Startup. You will learn from me, 1-on-1, about the trade secrets my team and I have developed based on global bestsellers Business Model Generation and Value Proposition Design. To ensure a unique and personalized experience, the bootcamp is exclusive only for successful applicants. Learn more. Do you coach corporate teams in large organizations that improve or build new business models and value propositions? Do you want to learn how to better coach these topics directly from me, the originator of the methodology? This 5 day Strategyzer coaching bootcamp is a unique chance to gain the knowledge and expertise to be a stellar business model innovation coach. Level up: Bring your strategy and innovation coaching skills to the next level. Get recruited: Become a potential recruit as an in-house coach, and work with leading global companies trained by Strategyzer. Strategy & innovation consultants, product managers, strategy leads and innovation managers in large organizations. Anyone who coaches teams in large organizations to innovate business models and value propositions. This program is not tailored for startup contexts, academia, or SMEs. Real-time 1-on-1 with Alex Osterwalder: Teaching and facilitation practice directly from the source, with support from my coaching team. Speakers: We have a series of globally recognized business and strategy thinkers that will join us online or physically. Business Model and Value Proposition Design Clinique: Discuss your challenges and get insights from the creators of the methodology. Access to our trade secrets: Learn insights and useful tips from me and Strategyzer. Strategyzer and Lean Startup concepts and best practices: from the big picture to the nitty-gritty details. In-depth case study work: Use key industry examples and cases to help strengthen your coaching skills. Workshop and program outlines: Learn about different workshop, speaking, and program structures that you can adapt to your own context. Training Tools: Video replays of your coaching and facilitation performance so you can immediately adjust and improve your approach. Price: USD 9’800 excl. applicable VAT for a 5 day intensive Bootcamp program. Includes: Training materials, lunches and dinners. Does not include: Travel to Baden Switzerland and accommodation. Location: In an old foundry in Baden, Switzerland (30 minutes from Zurich). Screening of CVs and references: April 2018.